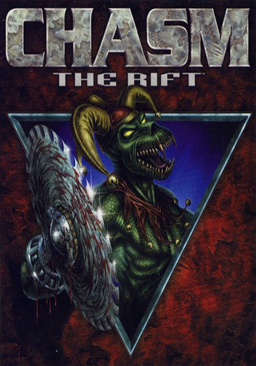 Originally titled Chasm: The Shadow Zone during development. Patch csmtcpip.exe is the latest version. Place file in the installation folder and run via DOSBox. This patch includes the bonus levels. This game must be run in DOSBox as it is a DOS game. As it is a demanding 3D game within DOSBox, it requires modern processors to run at acceptable frame rates. Mouse movement may stop working on occasion. Save and restart the game to fix. Patch the game to the latest version (csmtcpip.exe). Without this fix the game would crash if DOSBox was set to 'dynamic CPU' mode, and without that mode the game would run at an unacceptable FPS regardless of how powerful the processor was. This patch fixed that, allowing the game to be run at 640x480 resolutions at smoother framerates. Without this fix the music does not loop in DOSBox, playing only once. Configure DOSBox to run CTRLOOP.exe before launching the game. PanzerChasm is WIP reconstruction of original engine from scratch. Supports high resolutions, widescreen, OpenGL, texture filtering, networking, both true and 2.5 perspective modes. Currently in semi-playable state. Requires original files. This page was last edited on 17 October 2018, at 04:19.